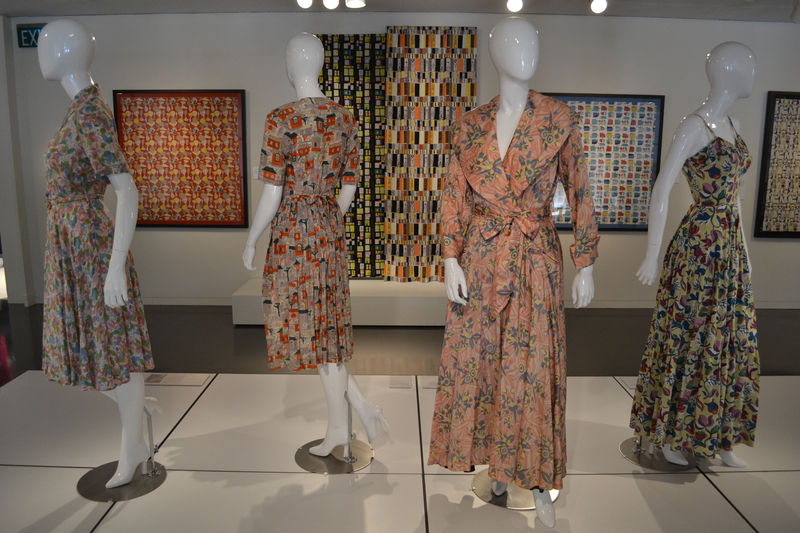 The Denver Art Museum’s Spun: Adventures in Textiles opened this weekend. I stopped in yesterday, excited to see what all the hype was about in all of the local media. I needed no more than a foot in the first gallery to understand, and be excited for what awaited me in the rest of the museum. My first blush with what I actually knew to be textile art was Beverly Semmes’ Four Purple Velvet Bathrobes (1991). The piece immediately grabbed my attention, and made me smile; textile arts, I now understood, was so much more than clothing. Textile art transcends the normal and goes to what I would consider true art – creation with imagination beyond the normal. Before walking into the museum, I would have said textile and decorative arts really weren’t my thing. The pieces have never excited me nearly as much as paintings or sculptures. But after spending yesterday afternoon walking the galleries of the Denver Art Museum, I can see I was being shortsighted since so much fine art I do appreciate – tapestries are textile arts, did you know that? 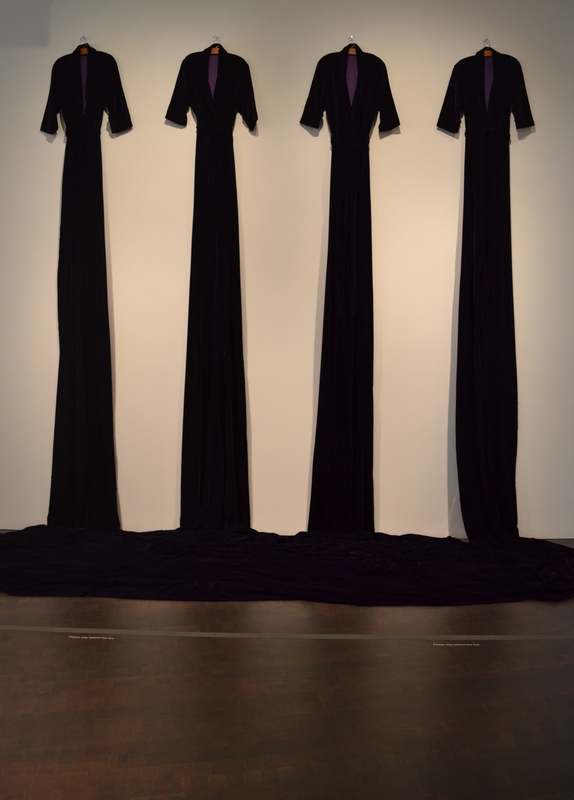 – are grouped into the category of textile art. It’s so much more than clothing. A few more steps into the fourth floor gallery in the Hamilton Building, my new thought was confirmed. 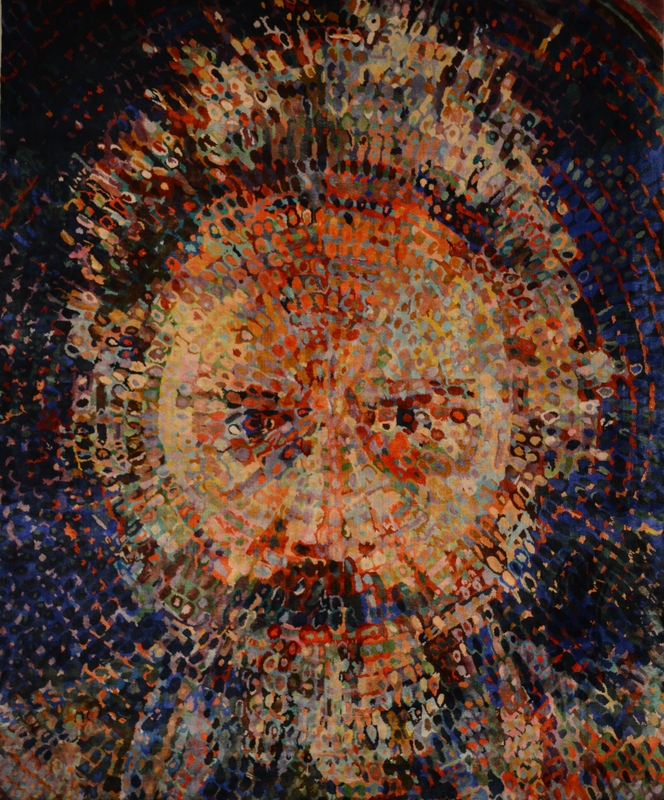 There, right before my eyes with as much shocking detail as his paintings, was a rug created by artist Chuck Close. Lucas/Rug (1993) didn’t just excite me, though; it was a favorite of anyone who walked through the gallery. As I continued on, I could hear people talking about it and raving over how much they liked the piece. And I couldn’t argue; Close’s work was brilliant. 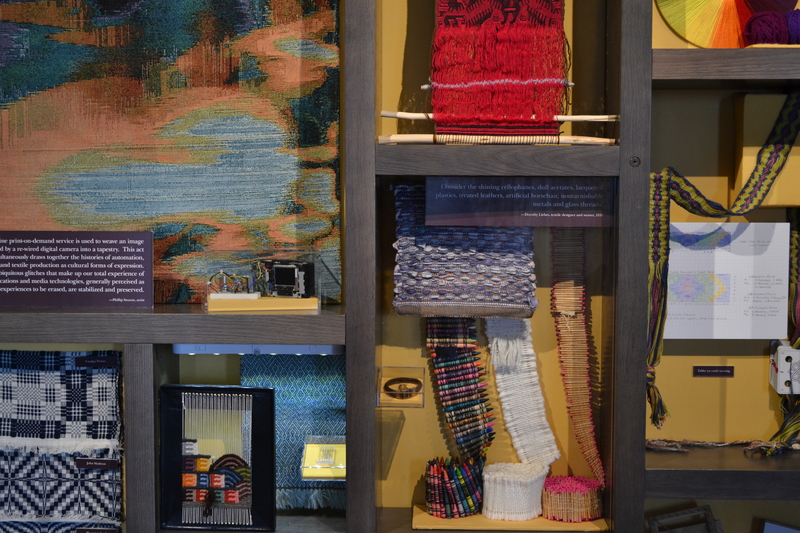 One of the great things about Spun: Adventures in Textiles is that it is spread throughout most all of the floors and galleries in both buildings at the Denver Art Museum. It’s not packed into just one room, as has been the case with previous exhibitions I’ve attended. Why is this so great? Because it creates an opportunity for visitors to see so many more pieces in the museum’s collection right alongside the textile works, and do so in their time period. 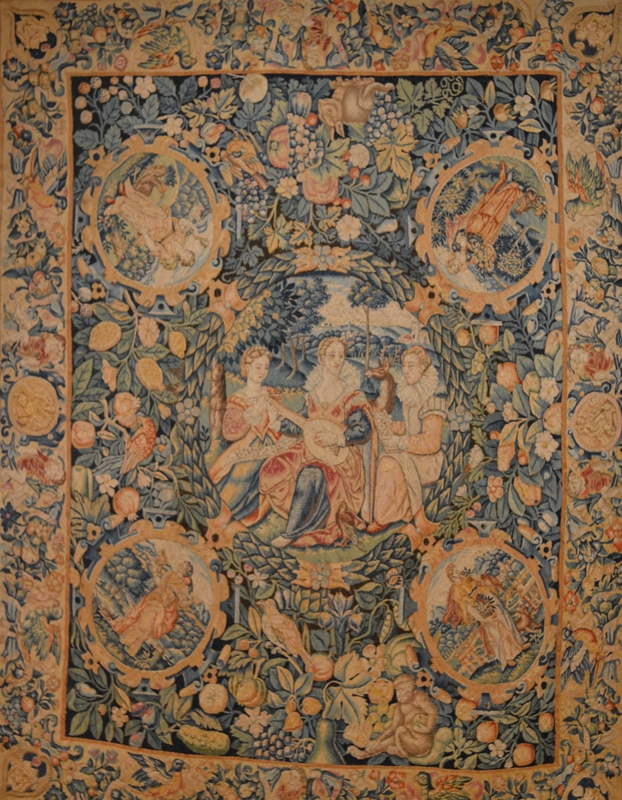 For instance, this tapestry – The Five Senses (about 1601) – hangs right along other works of art of the same period. So seeing it along with other pieces from that era helps put all of the works in perspective. 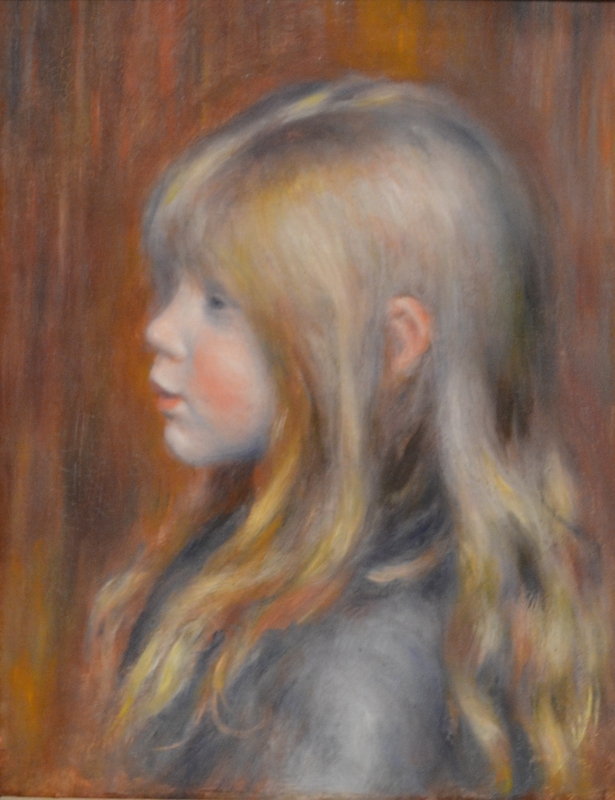 Having the special exhibition spread out throughout the museum also prompted me to see other great works by other amazing artists; did you know the Denver Art Museum has a Renoir on display? I didn’t. 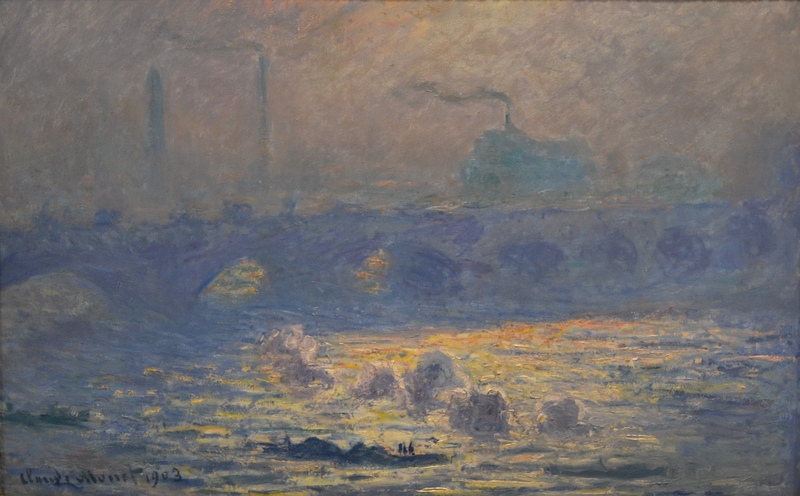 And how about Monet? I totally forgot since my last trip through the museums galleries. 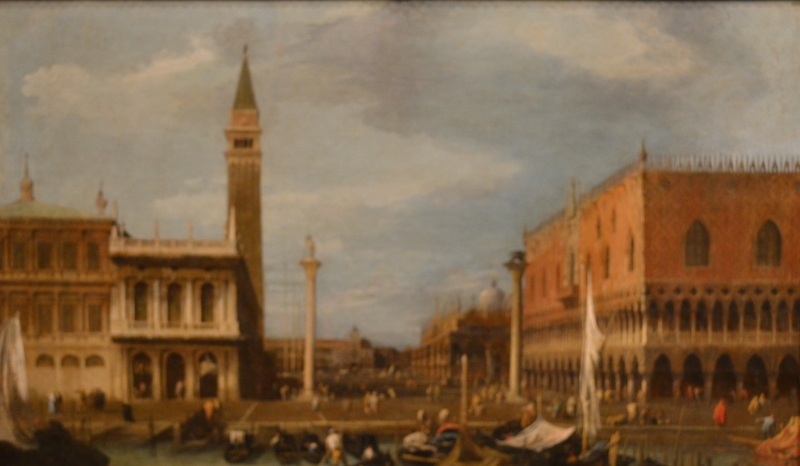 Or what about Canaletto’s Venice: The Molo from the Bacino di S. Marco? You probably haven’t seen it, since it has only recently been restored and put on display. 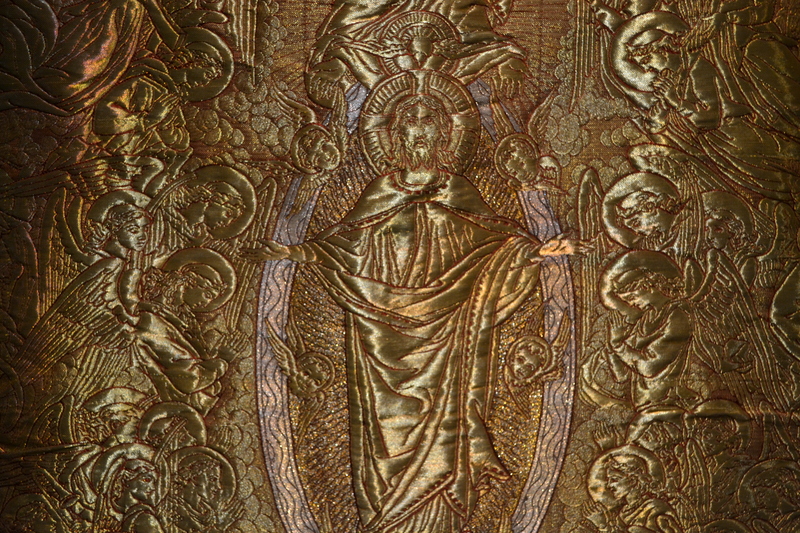 It wasn’t so much what was depicted on the Roman Catholic vestments that impressed me, but what was actually done. The artistry was outstanding. 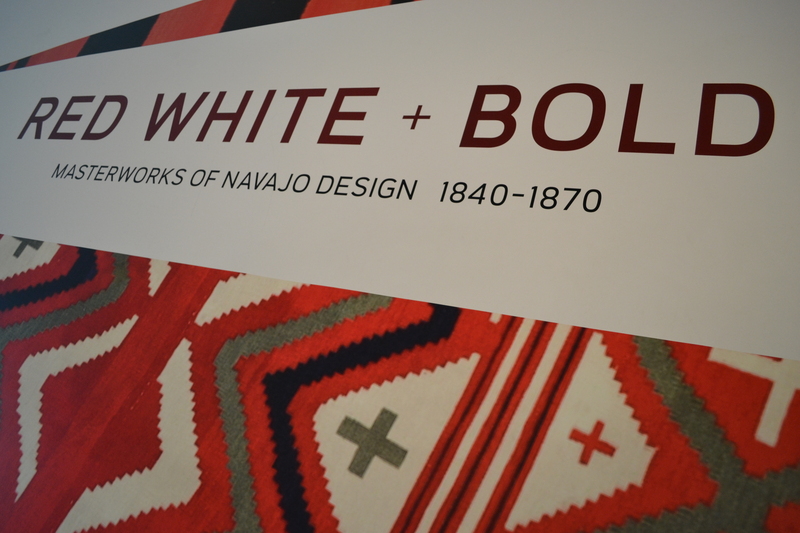 The same was true for the highlight of the exhibition, at least in my mind, with Red, White & Bold: Masterworks of Navajo Design, 1840-1870. Up front, I’ll admit, the name is a mouthful, and it doesn’t exactly excite. But my jaw dropped when I walked into the room filled with what is “considered the highpoint of Navajo weaving artistry.” The rugs, ponchos, and other pieces on display were fantastic, but unfortunately not open to photography. Consider it an incentive, though – a reason, even – to head down to the Denver Art Museum to see Spun: Adventures in Textiles. The fantastic special exhibition is on display until September 22nd. Check the Denver Art Museum’s website for details and visitor information.